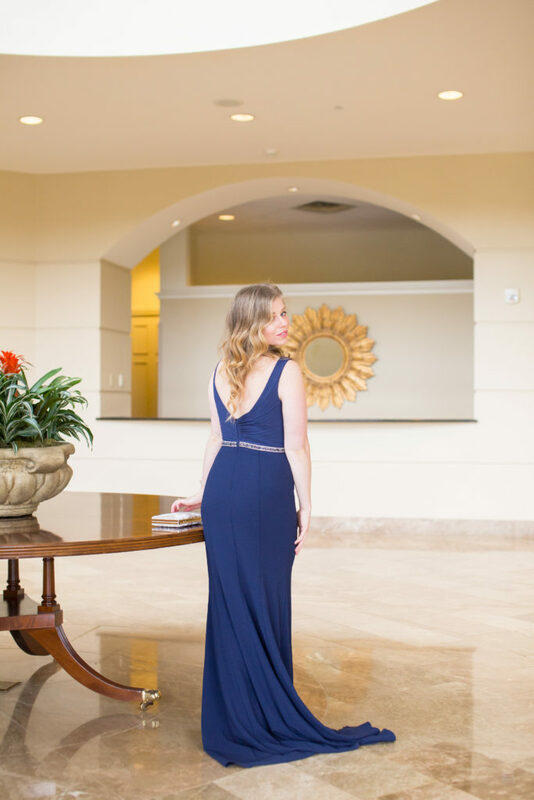 I am back with the second part of my Wedding Dress Code Guide with David’s Bridal. You can find the guide for Casual & Cocktail Weddings here. 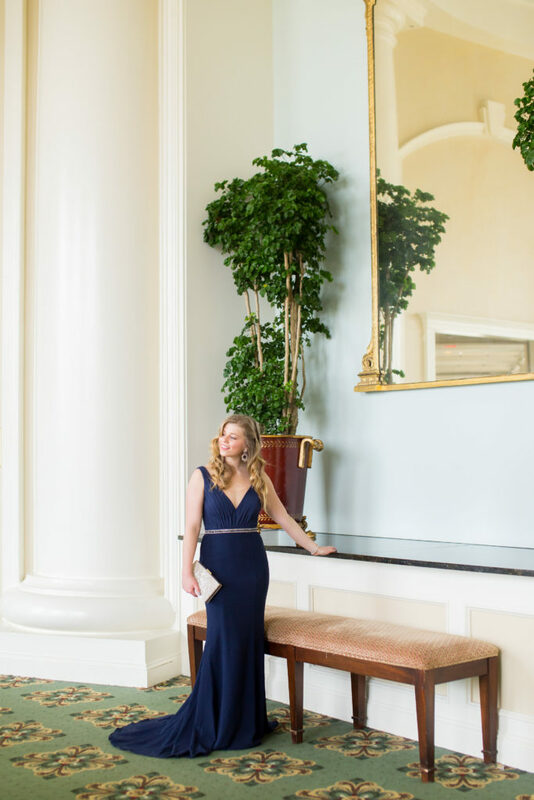 Now that we have covered those two, we’ll be diving into the two other most common wedding-guest dress codes: Formal & Black-Tie. To some Formal & Black Tie Weddings are easier to dress for while others are confused by what exactly the difference between the two is. For those of you that are left with questions, don’t worry, I’m here to help! 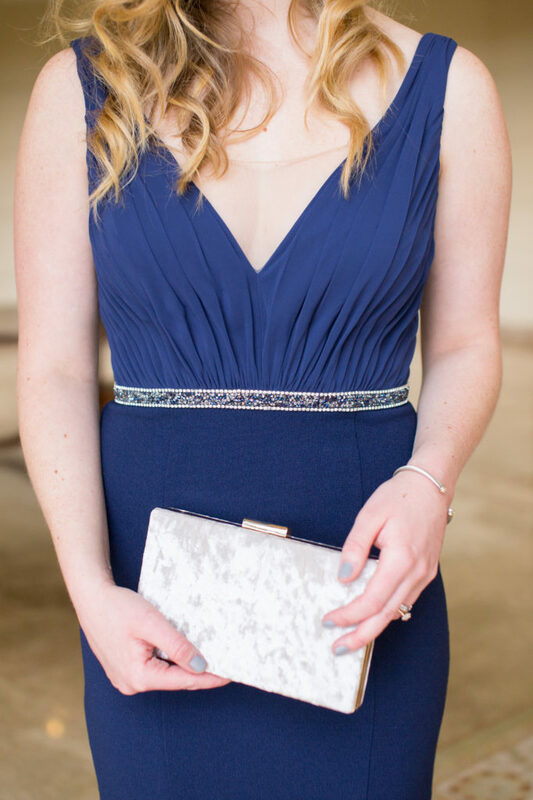 As I mentioned in this post, David’s Bridal is a great resource for wedding guest dresses, whether you’re going to a Formal Wedding or a Black Tie Wedding. They’ll have you feeling confident in your look and ready to make a statement on the dance floor! 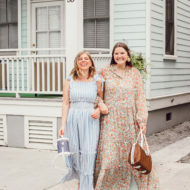 I have to say that these two wedding guest dress codes are my favorites. 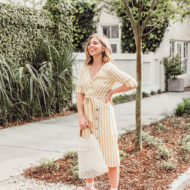 What gal doesn’t love the excuse to get dressed up and buy a gorgeous new dress? Plus you kind of feel like a celebrity getting ready to hit a Red Carpet when you’re rocking a fabulous floor length dress. I don’t know about you, but I don’t hate feeling a little like Reese Witherspoon. I attended a beautiful wedding recently and the bride was wearing a gorgeous dress from wedding store chicago, she looked amazing! It’s the best part of getting ready for a wedding, I can’t imagine being the bride though, it must be so stressful, I had a friend who had her wedding in Scotland and she was so stressed out looking for a someplace like venue hire glasgow, but it gave me a great excuse to look for a fantastic outfit to wear! So let’s talk about how to get you styled like your favorite celebrity, starting off with Formal Wedding guest attire. Formal: May also be called Black Tie Optional. This dress code indicates that the wedding party will be in formal wedding attire, and it’s optional for all guests. Also indicating something less formal than Black Tie is acceptable. Formal floor length dresses would be appropriate. As would a formal cocktail length dress if that is a length you’d prefer. This is your chance to have the prom dress you always wish you had worn! Although, I would recommend steering away from anything too bedazzled or dresses with several cut outs. Shop David’s Bridal formal dresses here. Key Trends for Formal Weddings: Lace, embellishment, higher necklines, and illusion necklines. For my formal look, I decided to have a little fun and go ultra feminine in this floral embroidered gown with clear sequins. 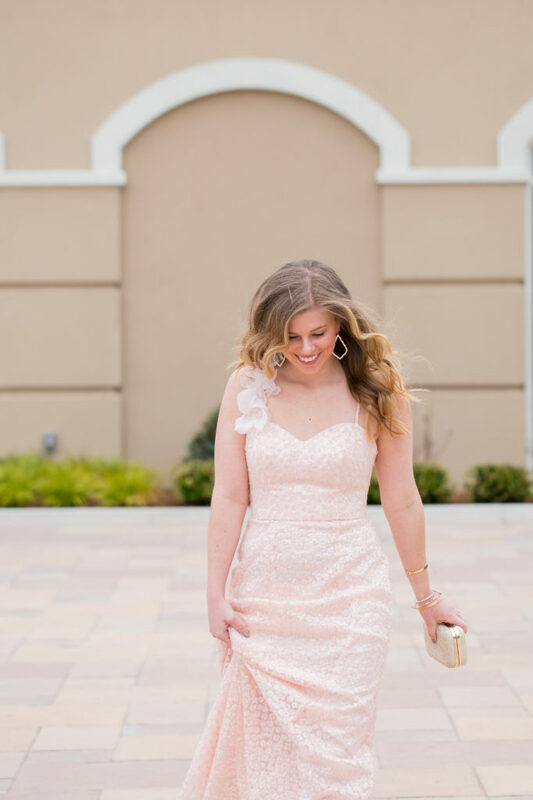 Between the sweetheart necklace, corsage like blooms on one of the straps, floral embellishment, and sequins this dress couldn’t get more feminine. 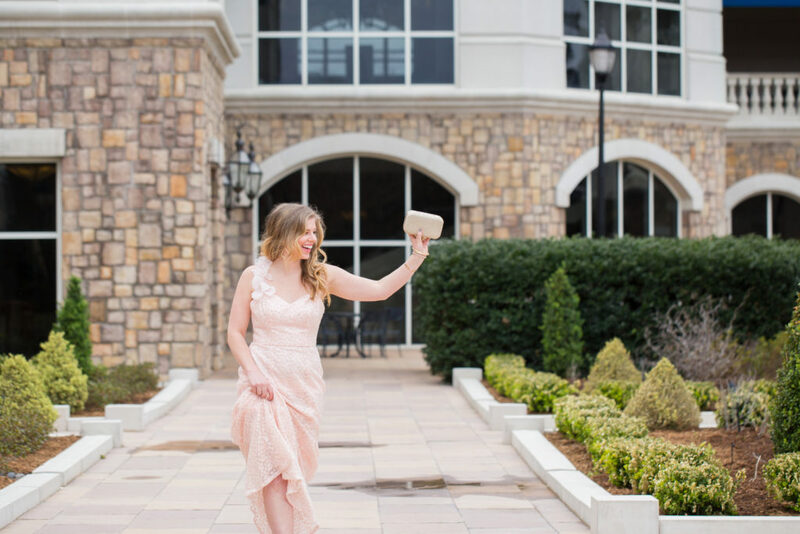 I knew this number would be an absolute showstopper while still being completely appropriate for a formal wedding, thanks to the light blush tone and length. For accessories, I kept things pretty simple. I allowed the dress to take centerstage here. With all of the details in the dress, too many accessories would have been over kill. 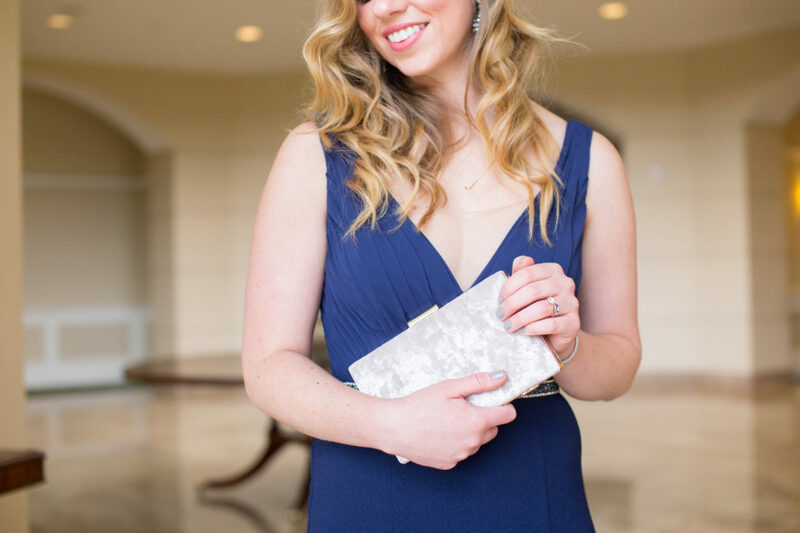 For formal weddings, I’d suggest going with one statement piece and keeping the rest of your accessories simple. Think statement earrings or a stack of statement bangles. This dress is available in sizes 2-14 and is exclusively available at select David’s Bridal stores and online here. 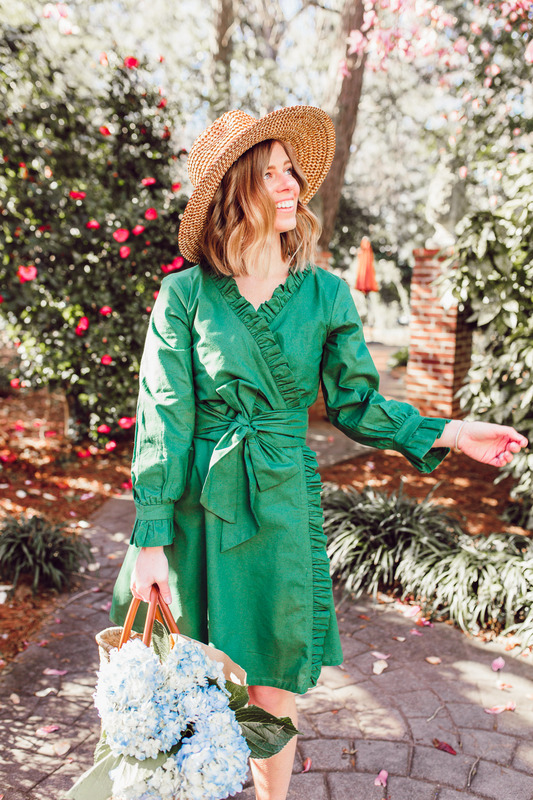 This dress is also, surprisingly, under $200. 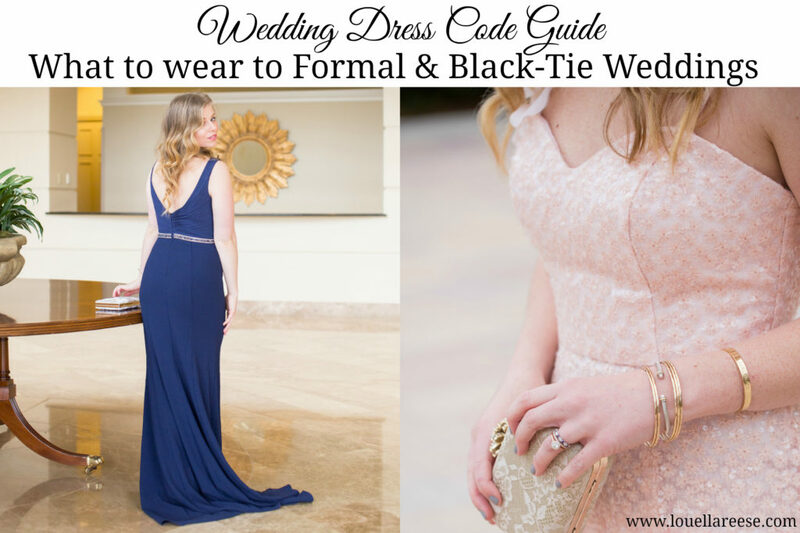 To finish out the Wedding Dress Code Guide we have Black Tie Wedding guest attire. Black Tie: This usually indicates an evening event. Women are to wear formal floor length gowns and go a bit dressier than you would for a formal wedding. It is recommended you choose a gown in a darker shade. 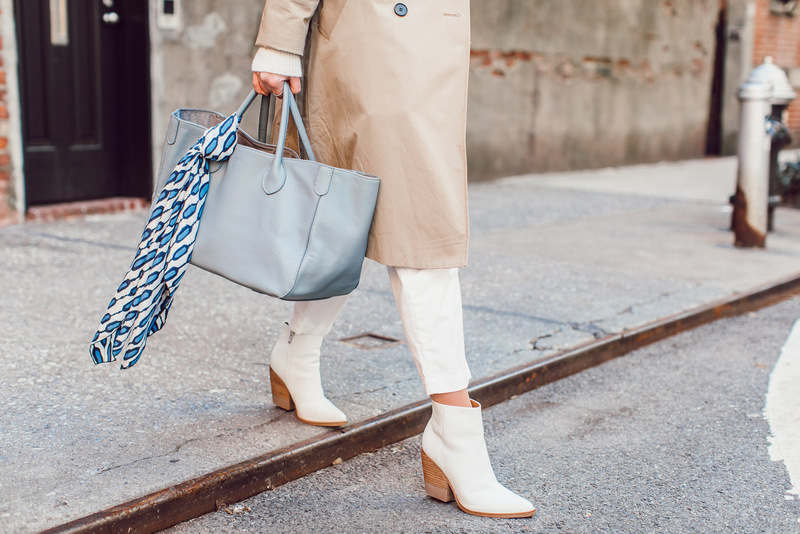 Think navy, black, gray, brown, or wine hues. Also, a gown that is more elegant and simple. Shop David’s Bridal formal gowns here and filter color + length. Key Trends for Black Tie Weddings: off the shoulder, embellished waist detail, beading, and statement necklines. This navy gown was a no brainer for me. Upon putting it on, I fell in love with the elegant silhouette. I also could not get over how comfortable it was. 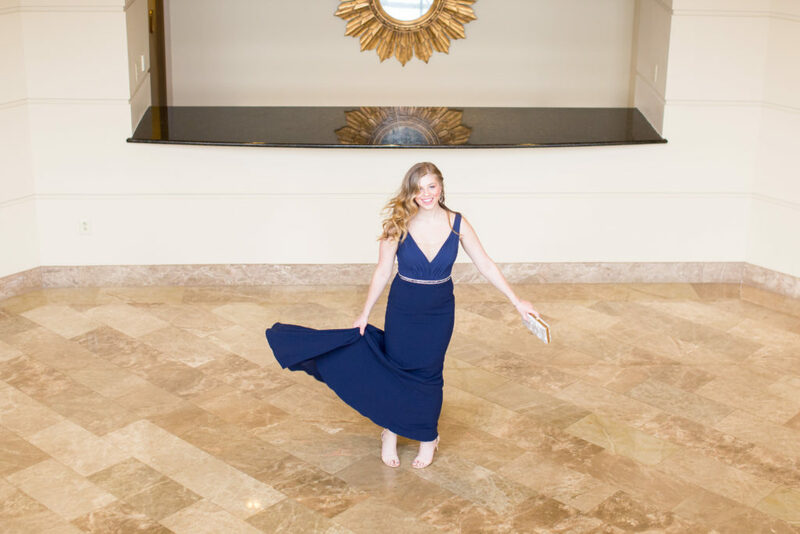 I could truly imagine twirling around the dance floor with my husband all night in this gown. Which is extremely important when choosing a dress for a wedding. You need to be comfortable as you’ll be in it for hours! And hopefully, dancing as well. I heard from a friend that when they used similar attire when working with their Barcelona wedding photographer it looked fantastic during her dancing shots. For accessories, I choose serious statement earrings. I love how they pulled the beading around my waist out even more. With a black tie wedding don’t be afraid to pull out your best statement jewelry. This is the time to wear those fabulous earrings with a large cocktail ring or wrist full of jewels. 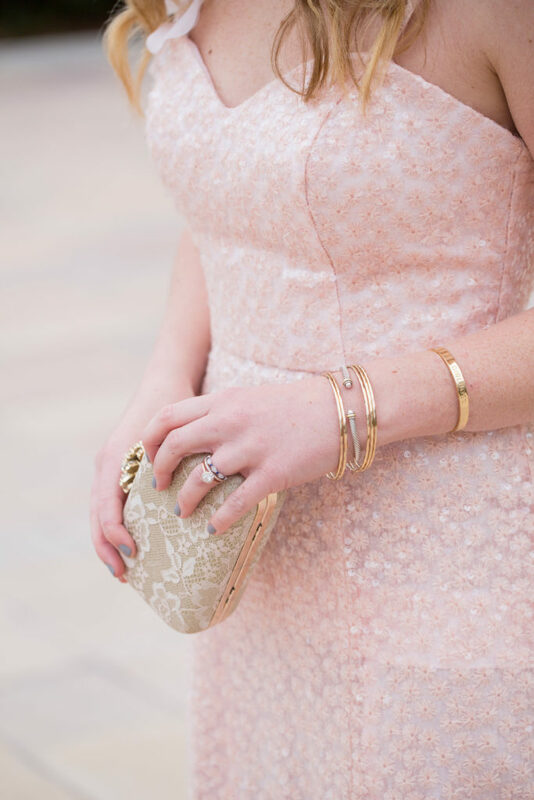 Have fun with your accessories, especially since your dress will be a darker hue with just a little detail on it. Your accessories will really have a chance to shine. This dress is available in sizes 2-16 and is available at select David’s Bridal stores and online here. And that completes my guide to Wedding Guest Dress codes. I hope that you have found this mini series to be helpful! Be sure to pin the first image in this post to reflect back on when a Formal or Black Tie Wedding comes up in the future. 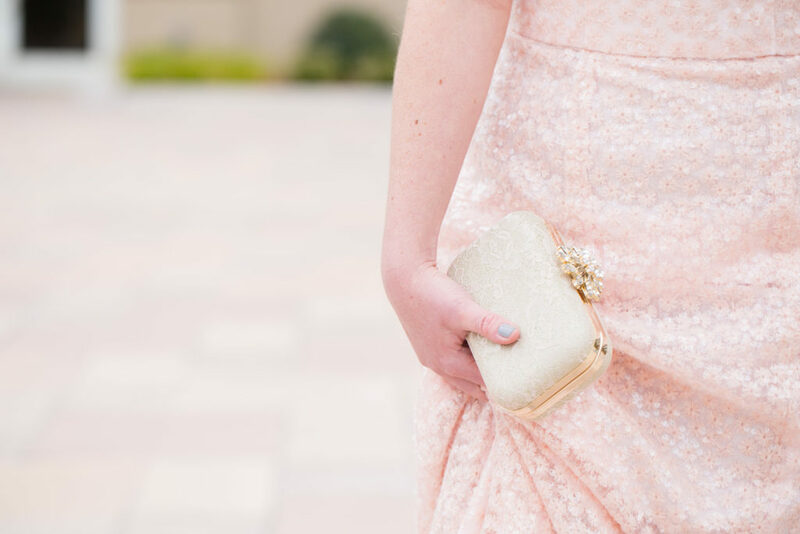 And take a look back at this post for details on Casual and Cocktail Wedding Guest Dress Codes. Thank you to David’s Bridal for sponsoring this post. All views and opinions are of course my own! 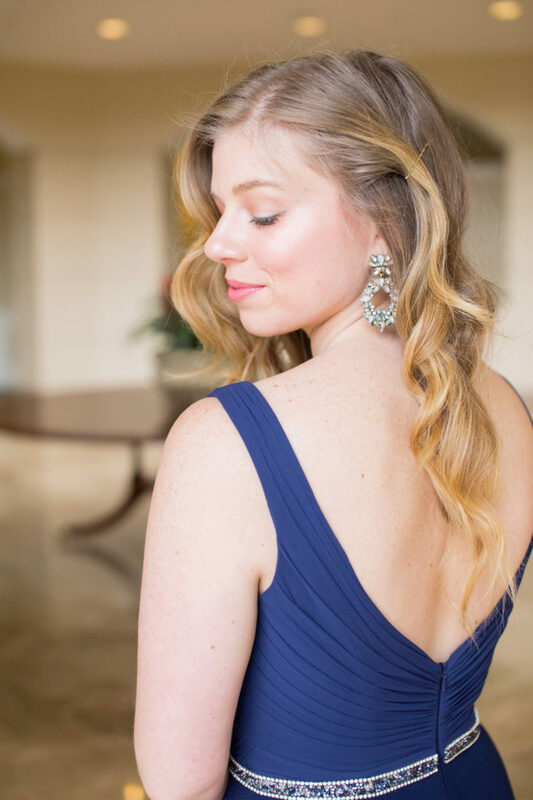 I love that you chose statement earrings with the navy gown! That plunging neckline is killer!! Aw thanks gal! Isn’t the plunging neckline so fun? Very different for me but I love it. These dresses are so stunning on you! You nailed the formal look! Thanks so much gal! I really appreciate it! I love that navy dress on you! Great choices! You look AMAZING in both of those dresses! Both are perfect for a wedding! You’re SO sweet! Thank you lady! such great wedding guest ideas! Me too, I love getting decked out for a formal event. These dresses are absolutely gorgeous, you look amazing! It’s so fun, isn’t it! Thanks lady! I really appreciate it. Okay, both of those dress are gorgeous, but the pink one totally speaks my love language! I’m obsessed! These are great tips! Definitely keeping these in mind for the weddings I’m going to this summer. You look amazing! Thanks love! So happy you found them to be helpful. You’re so sweet! I’ve always wanted to go to a black tie wedding. That navy dress is gorgeous on you! Me too gal! Dreams, right? Thank you love! You look so gorg! I love these dresses! Aw thank you love! The dresses were so fun to wear and style.